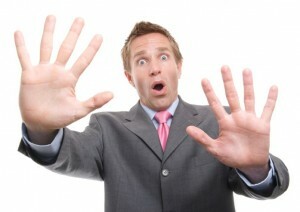 After a sales presentation, what do your buyers really remember? You may be surprised! It’s not always the compelling statistics you’ve provided. It’s more often the stories you share that stick with them long after the presentation is over. According to a study noted in Made To Stick by Chip and Dan Heath, 63% of audience members remember stories they’re told. Yet, only 5% remember numbers or statistics. Are you someone who has always peppered sales presentations with plenty of facts? While specific numbers are important to B2B selling, they need to be infused into relevant stories to make them tangible and valuable to your buyer. All companies are looking for solutions to increase revenue, reduce costs, and retain customers. And, many vendors claim to help with these. Yet, too often these claims are meaningless and generic because they are not focused enough on the buyer’s specific situation. Great story-telling can make statistics and figures truly meaningful to your buyer. So, how can you incorporate hard facts into a story that actually resonates? 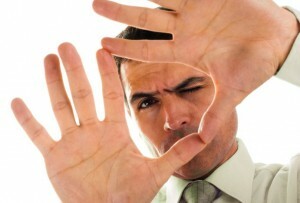 It starts with turning the focus away from your product and on to your buyer. Yes, it’s all about figuring out your buyers’ perception of value and building the story from there. Outside factors can greatly influence your buyer’s situation and decision-making. From what’s happening with competitors and the industry to advances in technology, it’s important to “get” what’s going on in your buyer’s world. What’s happening inside your buyer’s organization is also very relevant to figuring out what’s important to them and how to build a story that will resonate. What’s their decision-making style? Do they have a quick or lengthy purchasing process? Understanding these internal factors can greatly help how you create a value story that makes sense to your buyer. Who participates in decision-making? Understanding their mindset, relationships, objectives, and roles can enable you to determine how to construct your sales presentation. How will your buyer most likely use what you’re selling? By creating use cases that incorporate their specific objectives, processes, systems, and more, you’ll be able to bring relevancy to your presentation that your buyer will remember. To create a story that provides context, relevancy, and facts, it’s essential to listen, show a level of understanding, and then prove value. When this has been done, you’ll have a story that your buyer will want to hear, will remember, and will act upon. How do you provide relevancy in the value stories you share with your buyers? Does Your Buyer Focus on the Pain or the Gain? The most successful B2B salespeople clearly understand that they’re selling to people and not just to businesses. While they take time to understand their customer’s business, they know that identifying each individual buyers’ decision-making mindset is essential to making a sale. One key aspect of the buying mindset is motivation: Is the buyer focused on pain or gain? Problem-Focused Buyers Unlike in the consumer space, 70% of business buyers* make purchases to solve problems. So, a B2B salesperson will naturally encounter more buyers who want advice and solutions to address specific pain points. How to recognize them: A problem-focused buyer will talk about the pain they are experiencing today and the negative effects on their business. They are likely to make statements like, “High churn is cutting into our revenue” or “We need to reduce churn,” with a focus on issues and roadblocks. 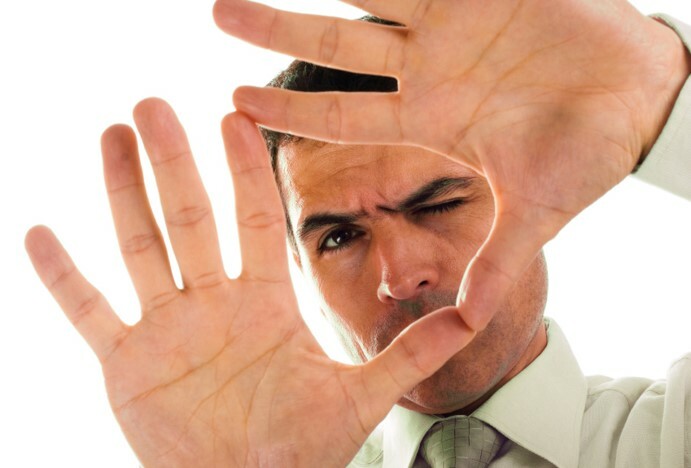 Objective-Focused Buyers There are also plenty of buyers (the other 30%) who are more dialed into achieving goals and objectives. This is a dramatically different mindset than that of the problem-focused buyer. How to recognize them: Instead of communicating the fact that they need to eliminate a problem, objective-focused buyers are more apt to say in our churn example, “We need to improve retention in order to increase revenue and customer lifetime value.” These buyers tend to make aspirational statements about the future and speak in terms of goals they want to reach or achieve. With both types of buyers, the issue may be the same, but how they think about it and communicate it will be different: one will spell out the specific problems, and the other will share what results they want. Bottom Line: A smart sales approach requires first determining if your buyer is problem or objective-focused from the very first sales meeting and then customizing your message around this mindset. By being flexible and adapting to your buyer’s focus, you’ll be far more successful at communicating value in your buyer’s language. 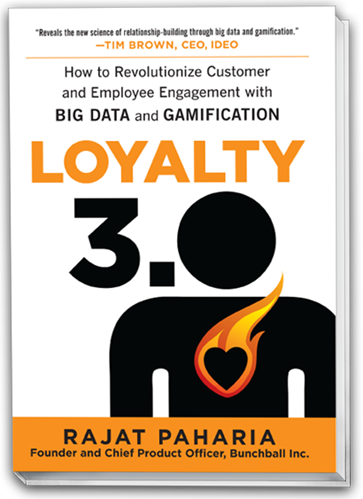 I recently had the opportunity to chat with Rajat Paharia, founder and chief product officer at Bunchball, about his new book, Loyalty 3.0, pivoting startups, and the differences between the business of games and the gamification of business. Lilia: You were one of the first to see the potential for gaming methodology in marketing. What sparked this idea? Rajat: The company I founded in 2005 was the right idea, but it was 2 to 3 years early to market. It was a social gaming platform, and in the process of building it, we examined what made gaming sticky. Pogo was one of the best, most used sites at the time, and they had all these statistics that they were able to stitch together into a really engaging experience. So we started building that idea into our gaming platform – for game results, but also to get people to do other things, like invite friends. We saw that it worked for motivating more than just behavior within the game itself – and that was the spark. We realized that combining data with “gaming” concepts can be used in other interactions. We were still a small company, so we had to make a very tough decision – continue in the social gaming market, or shift to gamification for businesses. We chose the latter, but we were early to market – again. Ultimately, though, that turned out to be a good thing – because we had time to develop a strong skill set and effective motivation techniques. Lilia: Bunchball has helped well over 300 companies, including dozens of global brands, leverage big data to drive gaming-inspired loyalty programs. What surprised you most about how those companies have put this technology to use? Rajat: We started with B2C applications of gamification, but the surprise has been how rapidly the business has transitioned to B2B uses. Companies are using (our solution) to motivate and train employees in sales and service, and to influence partners. B2B has taken off and is growing incredibly fast. That’s something we didn’t foresee. It makes sense, of course. Consider that Facebook, Amazon, etc. know more about your employees than you do. Yet companies ignore tons of data about employees who spend 8 to 10 hours a day working for them and delivering enormous value. That data lives in Salesforce, Jive, Cornerstone, Successfactors and all manner of enterprise apps and systems. Lilia: Loyalty 3.0 requires Big Data. Does that mean only big companies can really use it for employee and partner loyalty? Rajat: Our customers range from small companies, as small as 10 to 100 people, to the bigger ones. What you need is to understand customers’ or employees’ motivation. Then you need data. And today we are walking data generators – constantly throwing off information that can be used to create loyalty 3.0 programs. Now, when I say Big Data, I’m referring to the large volume of data being generated by each of us as individuals – a lot of it unstructured. Those individual data streams are available to any business, not just large ones. Finally, you need Gamification – that is, you need to create data-driven motivational techniques. Lilia: In your book you discuss the entry of Gen Y into the worksforce. Is it that younger generation that’s really the audience for gamification? Rajat: No. It’s based on fundamental human motivators, so it works for anyone. The demographic of our customers’ customers and employees is across the board. The thing about Gen Y is that this is the air they breathe. So to motivate them, these methods are indispensable. Gamification works for everyone, but it’s absolutely critical for the Gen Y.
Lilia: What do you find is the most common misconception people have about gamification? Rajat: The word is a double-edged sword. People think it’s games and entertainment. And they don’t want their employees playing games. They want them working. The reason these techniques came out of the gaming industry is because game designers have been living in data-rich environments for the last 40 years, and have had a chance to learn and develop all these techniques for motivating and driving behavior. Now the rest of the world has caught up. So gamification is really not about games at all. It’s about business results. Lilia: Certainly wearable computing will create a huge opportunity for gamification through increasing the volume of data even more and through the “everywhere with me” aspect of those devices. What are some other emerging trends that you see either enabling or driving the demand for gamification? Rajat: The notion of sensors everywhere. There’s a company across the street from ours that’s making ingestable sensors, powered by stomach acids. So you can tell exactly when the medicine was taken, and how the body responds. That means we can use gamification to motivate healthy behavior like taking your medication on time. More broadly, technology is mediating a lot of what we do – and all those systems are throwing off data that can be used to motivate behavior and inspire loyalty. Lilia: Where should a company start when considering gamification? Rajat: Always start by determining what you are trying to accomplish. What’s your goal? For example, “We want our channel partner sales team to contribute 10% more to the pipeline.” Gamification starts with a business mission statement. Then you decide how you will measure that. Then, understand what are the behaviors that I need to affect. Next look at users and understand what motivates them. Lilia: That sounds straightforward, but how would a company actually know what motivates customers or employees? Rajat: The best way to do that is by talking to a few of them. Ask them lots of open-ended questions. You only need to talk to a few to get really smart. We break it down in the book – how to craft an experience that fits, and create automated, scalable, repeatable motivation and intervention that you can use to motivate employees or kids. Rajat’s book, Loyalty 3.0, launches June 18th through all the usual channels. In the meantime, you can pre-order at http://loyalty30.com/ and get extra gifts with your pre-order. I just hosted a webinar introducing the second edition of my book, 42 Rules for Growing Enterprise Revenue: Practical Strategies for Increasing B2B Customer Relevance. Ways to Matter More to Customers, Lilia Shirman from Laura on Vimeo. In a recent study of B2B demand generation practices conducted by Software Advice, social media was among the most popular marketing channels, and a top spending priority for next year, despite receiving low marks for both quality and volume of leads it generates. Social media was the 3rd worse in terms of quantity of leads it produced, and in the bottom half in terms of lead quality. Maybe the reason that almost 90% of the survey’s 155 respondents use social media is the low cost. Non-ad social media was voted the cheapest of 14 marketing channels by study respondents. It’s easy to increase spend on something that is perceived as nearly free. Over half of companies plan to increase budget for social media marketing next year. What channels generate good leads? According to the Software Advice study, in-house email marketing was among the top 5 channels for lead quantity and quality. The only other channel to be voted among the top 5 in both categories was trade shows and events, though it was also the most expensive. Other channels that generated high lead quantity were 3rd party lead originators, search engine ads, and SEO. For Lead Quality, SEO was second after email. Also good for lead quality were telemarketing and 3rd party webinars. The study reports that live demos with reps provided the best combination of high lead quantity (ranked 2nd) and quality (ranked 1st). Free trials, according to Software Advice, generated the highest lead quantity, and were 3rd in terms of lead quality. Despite the high rankings, free trials were among the three least-used offers. Complete study results are available here. I bet you already have a long list of launch announcements and product training sessions for your 2013 sales kickoff. That’s important information, but it’s not enough. If your sales people are still having difficulty engaging executive and business audiences, even after that expensive solution selling training you invested in so recently, it’s because they lack a good alternative to the product-centric pitch. Executive audiences – whether IT or Business – don’t need your sales people to recite widely-known industry trends as an intro to the product pitch. They don’t want to waste a meeting hearing information they could just as easily find on your website. Throw away the PowerPoint. Replace presentation slides about industry trends with interactive discussion guides about customers’ objectives. Ask Insightful Questions. Your sales training and tools should provide lots of open-ended questions that intrigue customers, demonstrate sales reps’ expertise, and help discover what’s really of value to buyers. State a point of view. Give Sales something unique to say that customers haven’t heard from everyone else: Make some bold statements, show a distinct approach, or share a new perspective. Challenge common knowledge or the status quo. Tell Stories. Replace recitations of product benefits with use case-driven value stories. Provide sales people with stories that illustrate how you have helped similar companies (and will help them) create tangible business results within specific use cases by leveraging your unique capabilities. Brainstorm. Turn sales meetings into collaborative brainstorming sessions by enabling sales people to discuss many options and approaches, point out the pros and cons of each, and explain how they fit with other products the customer is likely to need. I sell to some really big companies. 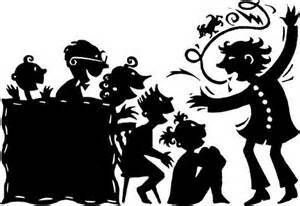 One rule I established when I founded my business is that sales is about listening and collaborating, not presenting. The reason was that I had watched cost of sales at many companies skyrocket due to huge investments preparing elaborate sales presentations that often fell flat and pursuing deals that should have been disqualified or re-framed early on. Even with the best qualification questions and inside sales efforts, a sales rep walking into an initial customer meeting is going to have, at best, a superficial understanding of the customers’ need. If they start by bulldozing through pre-prepared slides, they are likely to a) waste time on topics irrelevant to the customer b) miss the opportunity to gain a better understanding and c) fail to establish a collaborative relationship with the customer. I could subtitle this “How to Lose at Buzzword Bingo and Increase Sales” but this is not where I whine further about buzzwords and jargon. I did that in previous blogs (Buzzword Bingo and Avoiding the Buzzword Bingo Trap). All kidding aside, there is a time for professional jargon: when you know you’re speaking to an audience that understands you, and you need the extra specificity and precision that jargon can sometimes provide. If you’re using it outside of that then you’re probably not communicating clearly, honestly, or effectively. In the web and social marketing world, online “conversations” are the perfect opportunity to meet buyers’ information needs with smartly targeted and informative content that buyers consider valuable. Unfortunately, Web copy is often written in less than ideal circumstances by product marketers who do not have the time to do it right. The good news is that anyone who writes content can ensure that every chunk of text on the web is doing something concrete and useful. Good marketing copy accomplishes specific goals; just touting a product is not one of them. With Product X advanced features, capturing and reporting product sales data in the cloud and in real-time can improve operational intelligence and provide insight that enables more effective strategic, tactical and effective decision-making. With Product X researching your online sales is FASTER! What do we know about this product from the two statements? Intelligence and insight will be improved by capturing and reporting! And that will enable, among many other things, better tactical decision-making! And we end with a tag line – in CAPITAL letters no less–with an exclamation point, indeed! Here we have a simple example of what happens when the goal of the writing is to fill up a web page with copy. How do you approach writing product copy and potentially winning buyer attention and sales interest? What does the product do for its target user? Why is the product better than the available alternatives? The lack of answers to these really basic questions is what frustrates buyers in their journey and wastes marketing money on writing babble. To do it right, let’s look at the questions in more detail. Who is the product for? Think of your target audience. Can they tell from this copy that you are speaking to them? Can other people outside your audience tell that you are NOT speaking to them? What is the product? Try to write in conversational tone using short and simple sentences. Make sure you have spelled out, clearly and in simple language, what the product is and that the nouns as concrete as you can make them. What does the product do for its target user? Be specific in laying out the product’s primary features and benefits in a clear, concrete way. Why is this product better than the available alternatives? Here is where flowery prose needs to be edited. If you make a claim, give evidence for the claims clearly and without empty language that makes you look like boasting. Answer these questions, and you’ll communicate more clearly and efficiently than the horde of companies who’ve filled their web product pages with the content equivalent of cotton candy. Please share your tips and suggestions to making content work. This article is by Guest Blogger Charlie Born, on of The Shirman Group’s extended network of business experts. In their quest to solve business problems, buyers are turning to the internet and social media for information. This customer-driven Buyers’ Journey gives marketers a new channel to create valuable information that is discoverable, consumable, shareable and valuable. Unfortunately, many marketers fall into the trap of creating content flooded with buzzwords, jargon, and marketing pitches. These cause buyer resistance and make you indistinguishable from competitors. Buyers reward well-researched and believable information packaged into quickly digestible and easy-to-absorb info-graphics, white papers, info-training materials, webinars and blogs. Here are a few pointers for avoiding the buzzword bingo trap when creating your marketing content. 1. Don’t lead with your solution, your product or what you do. Instead start with a narrative about the business problem you are solving. Have a vision. Then lead your reader to your solution. Show how your approach is different before you go on to prove how it is better. 2. To craft the story, listen to your customers. Find out how your customers describe what you do. What words and phrases resonate with them—and which ones do not? See my previous post for how to interview customers about their buyers’ journey to get this information. 3. Listen to how your top sales performers tell your story. This will give you added perspective—particularly from those with strong solution-selling techniques. 4. When you write, ‘speak’ with a natural voice. Use the words you would use if you were speaking to someone you knew. Use short phrases and sentences. Most times, less is more. It just takes extra work to edit things down. 5. Strive to say something relevant, memorable, and different from what your competitors are saying. Just keep it real and not overblown. Be careful not to over-claim. Puffed up claims put most readers off rather than draw them in and can end up being a legal challenge later if problems arise. Make your reader want to learn more – and show them how they can by having additional content for them to pursue elsewhere on your website or blog. Released last year and written by lexophile Arthur Plotnik, “Better than Great” is a book I have found useful in fixing buzzword bingo. It reads like a funky thesaurus and includes an assortment of over 6000 words and suggestions for describing things—pulling from rare gems, vintage gold, and even phrases influenced by hip hop to present a wide range of fresh superlatives. It is both amusing and vocabulary expanding. Share with us successful ways on how you are telling your company’s story in a way that genuinely informs buyers, stands out from the crowd and avoids buzzword bingo. Online “conversations” are a perfect opportunity for marketing to meet buyers’ information needs with smartly targeted and informative online content that buyers consider valuable. At odds with this need for “conversations” is the high tech marketing history of using “words du jour” to make our products seem unique and different. Words like “cloud”, “social” and “big data” are just some that are rapidly littering our marketing content and are so over hyped their meaning is questionable. Coupled with over-used words like market leading, one-stop, scalable, easy to use, customer focused, best in class and many others, you have a winning game of buzzword bingo. Does this buzzword bingo have any real meaning or value for the reader? The repeated use of trite phrases devalues them even if they are true. Furthermore, as marketers we know that when every company make similar claims, buyers struggle to tell us apart from competition. Of course, who wouldn’t claim these things? But more importantly, who isn’t claiming them? 1. Identify the most commonly used words and phrases on your website, in your online marketing materials and in your sales tools. If your language is truly distinct from your competition, congratulations! If, on the other hand, there’s an uncomfortable similarity between your words and phrases used by your competitors, then you have some work to do. Copyright © 2009-2010 The Shirman Group, All Rights Reserved.